What Solar Power Inverter Should You Get For Your PV System? Solar power inverters and micro inverters are an integral part of any solar installation. Solar panels produce electricity in direct current (DC). This creates a serious issue. DC is great for some situations, but our homes and all our gadgets, not to mention the actual utility grid, uses alternating current (AC)! This means that all the energy you’re your solar panels is worthless! Thankfully, that’s where inverters step in. They are responsible for changing that electricity from direct current (DC) to much more useful alternating current (AC). Without inverters, you couldn’t even use your solar energy! There are 3 main options for inverters – the common string inverter, microinverters, and power optimizers. Don’t worry – you’ll know all about these by the end of this article! Which of these inverters should you install? To answer this question, let’s look into the different types of inverters, the pros and cons of each, and then compare and decide which one is best. As mentioned, solar creates DC electricity. The grid and your home, however, use AC. The inverter’s job is fairly simple: they change the electricity your solar system produces from DC to AC. If your home is not connected to the grid (let’s say you live in an off grid cabin high in the mountains), you might not need an inverter, as special appliances are available that run off DC. But for those of us on the grid, inverters are required! String inverters are by and large the most common type of inverter. They’ve been around for decades, are dependable and low-cost. With string inverters, all the solar panels are plugged into each other like a daisy chain (or ‘string’, hence the name), and go to one single inverter. 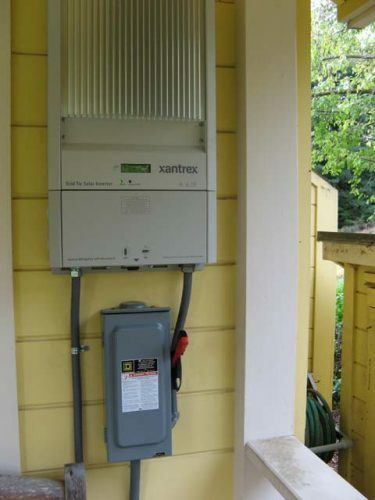 If you live in an area with a lot of solar, you’ve probably seen these inverters before – they’re usually installed on the exterior of the house, next to the existing electrical panel. A typical string inverter installed on the exterior of the house, with safety disconnect underneath. Of the 3 types of inverters, string inverters are the cheapest. Below is a quick cost comparison of 3 different 5kW inverters (a size that would cover a typical residential installation of about 20 solar panels) from three leading inverter manufacturers. As you can see, average cost hovers around $1900 – a good deal when compared to micro inverters. Everything has its drawbacks though. Although inexpensive, string inverters don’t excel in every situation. Since all the panels go to a single inverter, all the panels function as a single entity. If all the solar panels connected in a ‘string’ face the same direction and are placed at the same angle string, string inverters work great! However, because the solar panels function as a single entity and aren’t optimized individually, your system can only produce as much energy as your worst producing panel. Let’s say you just got solar installed. It’s a beautiful day and your solar system is producing like you’ve never seen before. A few minutes go by though and you see a little cloud come in and just hover over a corner of your house, covering just a few panels. You wouldn’t think this would make a big difference right? Most of your panels are still bathed in sunlight! But with a string inverter, this is a big deal. Even if just a couple of your solar panels are shaded, your production drops significantly, sometimes up to 60%! A good candidate for a string inverter. All the solar panels are located on one section of the roof, with all the panels facing the same direction and the same angle. 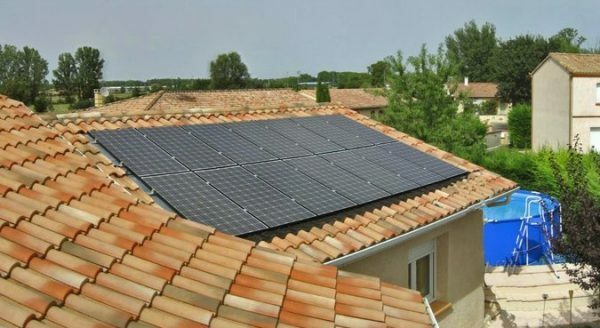 In addition, because your solar panels work as a group and the inverter provides no data on the performance of individual panels, if your system production drops and you suspect a faulty panel is the culprit, troubleshooting can be more time consuming, as each panel must be physically tested for proper functionality. Even with these two downsides, for most homeowners, string inverters are a great decision. If you’ve got a simple roof without many trees or obstacles to shade your panels, string inverters should work just fine. They are cheap, reliable, and easy to replace if something goes wrong, since they are installed right on the side of your home. String inverters do exactly what they are designed to do: convert DC to AC. They might not do it great in every situation, but if your roof is their ideal situation, a string inverter is all you need! 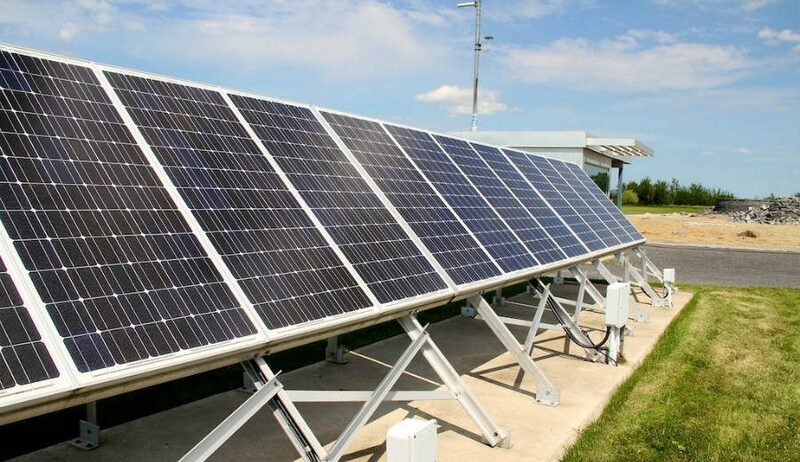 Micro inverters, instead of having a single main inverter, are small inverters placed under each solar panel that optimize production for that individual panel. So instead of your entire solar system working as a single entity, micro inverters work at the panel-level. 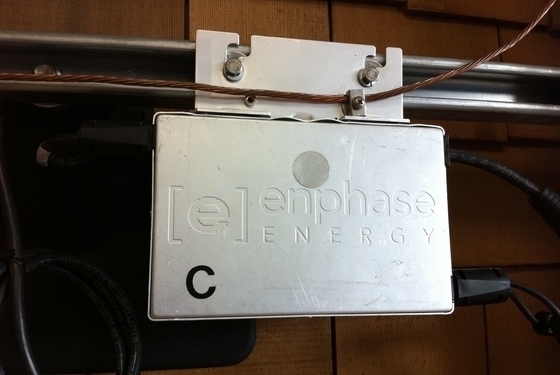 An Enphase Energy micro inverter bolted to the railing and ready to be hidden by the solar panel on top. Because micro inverters optimize each panel individually and can handle complex roofs better than string inverters, they are best suited to roofs with regular shading from trees or nearby buildings or roofs with numerous angles or directions. 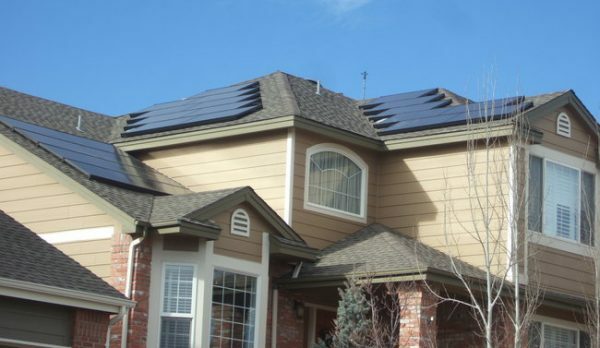 Micro inverters also track each panel’s performance, which allows homeowners and solar companies to watch for issues at the panel-level, something string inverters simply can’t do. You might be thinking “Well, why not just put micro inverters up on every system? It certainly can’t hurt!” From the perspective of production, that’s certainly true. Even for a simple system with no shading and great weather, you’d probably see a little increase in production with micro inverters over string inverters. However, micro inverters are more expensive and that additional cost might not make sense for all situations. Enphase Energy, the most well-known manufacturer of micro inverters, offers their residential M215 micro inverter for about $125 each. Going back to our previous example of a 20 panel system, the total cost of all the micro inverters would amount to $2500 – about $600 more than typical string inverters. Due to the increased cost, micro inverters are mainly used when its simply not feasible to use string inverters, either due to shading issues or the structure of the roof. You have to think about it from a cost perspective: You spend an extra $600 upfront on micro inverters. How long will it take you to recoup that additional investment and start saving money? Your installer can (and should) create a few different estimates for you that accounts for the different equipment. A good installer will be upfront about which type of inverter makes the most sense for your roof. So, have you decided between a string inverter or micro inverters yet? Before making your decision, let’s look at one more inverter type that is currently on the market. In the last few years, a new technology has bridged the gap between the cost-effectiveness of string inverters and increased performance of micro inverters. This technology, known as power optimizers, uses a single inverter on the side of the house (similar to string inverters), but also places individual ‘power optimizers’ under each panel (similar to micro inverters). With multiple roof directions and potential future shading (note the medium-sized tree in the bottom right), micro inverters or power optimizers are a good option for this home. Put simply, power optimizers allow each solar panel to produce as much energy as possible by adjusting the power output of the solar panel to match the current needs of your home as well as the operating environment of the panels. Power optimizers, like microinverters, monitor each panel’s performance individually, which allows for faster (and therefore cheaper) troubleshooting and maintenance. Typically power optimizers are equal to or slightly less expensive than micro inverters. SolarEdge, a leading manufacturer of power optimizers, manufacturers the P300, which goes for about $65 each. For our example of a 5000 watt, 20 panel system, this equals $1300 for the power optimizers. Tacking on $1200 for the necessary inverter (SolarEdge SE5000), the total cost for the inverter system is $2500 – about even with a micro inverter system. You might be asking, “What’s the practical difference between power optimizers and micro inverters, they seem very similar!” That’s a good question that probably a lot of people – even in the solar industry – can’t answer. Basically, micro inverters convert the electricity from DC to AC at the panel, while power optimizers ‘optimize’ each panels output, but actually convert from DC to AC at a single inverter on the side of the house. While they function very differently, their end results are very similar – squeezing more power from your system than you could with a string inverter. Both are great options to discuss with your installer! Now that you know all about these inverters, which one should you get? It’s simple: go with the one that makes the most financial sense. Solar is an investment. You need to weigh cost vs energy production. In general, if your solar system is very simple – your panels all face the same direction and same angle with no real shade issues – there’s no need to spend extra money. Go with the tried-and-true string inverter. You’ll get a good amount of electricity produced at the lowest cost. If your roof has multiple roof planes or if you have shading issues, micro inverters or power optimizers will likely fit your needs better. Both are excellent options that can produce energy under less than perfect roof conditions. They’re more expensive, but you’ll be producing more electricity than you would with a string inverter. When you are ready to install and are getting quotes from a few different companies, be sure to discuss concerns about your roof, its structure, and any shading issues. Talk about which inverters are available and which fits your needs the best. Get quotes for the different types of inverters, as well as savings estimates to see how each will affect your total energy production. What type of inverter did you install? What’s been your experience? Let us know in the comments below!